Find + Read - ZurApps Research Inc. Learn more about one of our educational games for iPhone or iPad! 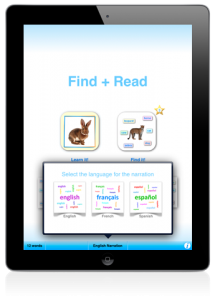 Find + Read words in English, French and Spanish with many wonderful collections. 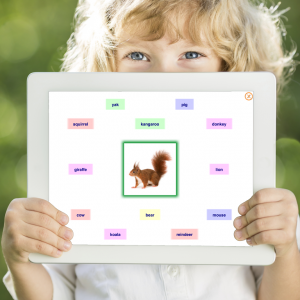 Find + Read is a talking app with a delightful design that makes learning fun. Words with their respective images and narrations are grouped in themed collections. A fun, cool way to learn to read words in English, French and Spanish with this interactive tool for children, as well as anyone wanting to learn a new language. Two playing modes and several interactive elements maintain the interest and encourage repeat play which reinforces learning. “Learn it!” is an audio book. “Read it!” asks you to find the word that corresponds to a particular image. Groups can be defined with up to four collections each for the “Read it!” mode. 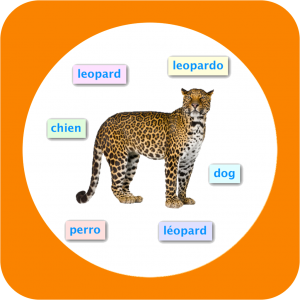 One language and the Animals and Numbers collections are included in the free app. The other languages and collections can be added through In App purchase options. Find + Read EDU has no in-app purchases, no third-party advertising, collects absolutely no data, and comes with the complete set of collections and languages. Find + Read is great for young children. Find + Read to help teach your preschool aged children to read by associating words with corresponding picture. Are you a teacher looking for a fun, interactive way to engage the kids in your class? Are you a teacher looking for educational games to engage your students and spark their interest? Find + Read is a perfect choice!